Dr van Iddekinge is a specialist Obstetrician Gynaecologist and a Fellow of the Royal Australian and New Zealand College of Obstetricians and Gynaecologists. She graduated from Medical School at the University of the Witwatersrand in 1989 with a Bachelor of Medicine and Surgery (M.B.B.Ch). Gill worked as a General Practitioner for two years in Luanda, Angola, prior to specialising. Dr van Iddekinge did her Registrar training in Johannesburg, South Africa, at the Johannesburg General and Baragwanath Hospitals. She graduated as a Fellow of the College (F.C.O.G) of Obstetrics and Gynaecology of South Africa in 1998, obtained her Masters in Medicine in Obstetrics and Gynaecology (M.MED) in 2002, and became a Fellow of the Royal Australian and New Zealand College of Obstetricians and Gynaecologists (F.R.A.N.Z.C.O.G) in 2004. In 2002, Gill moved to Australia and worked for Queensland Health for eight years, initially in Mackay and later in Brisbane. Dr van Iddekinge is an examiner for the Royal Australian and New Zealand College of Obstetricians and Gynaecologists. Gill is married to Basil, a retired Professor of Obstetrics and Gynaecology, and they have three children and one grandson. 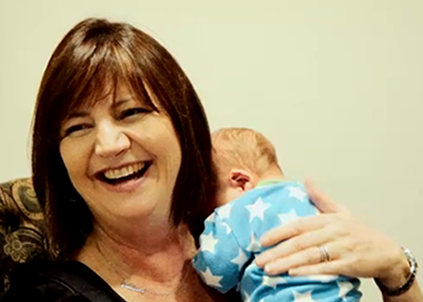 In 2010, Dr van Iddekinge joined Moreton Bay Obstetrics and Gynaecology as our first female Obstetrician and Gynaecologist, and she thoroughly enjoys being a part of our reputable team.